Free Printable Behavior Charts and Reward Charts for Kids! Behavior charts are great tools to help guide kids gently with behavior change and behavior tracking. And when your child has a favorite theme or character on her chart, the whole process of using behavior charts becomes a lot more fun! Encourage your child to pick out a chart he likes and a favorite way of marking the chart with either stickers, crayons, markers or pens, and you're off! Our baseball theme charts will make the process really fun for baseball fans! Don't forget to check out our behavior charts with American League teams too! 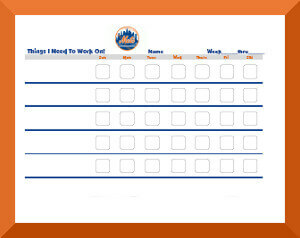 © Copyright 2007-2019 Free Printable Behavior Charts.com. All Rights Reserved.